Tired of Pandering to the Status Quo? This manifesto gives you the power to make your own rules and forge an inquisitive spirit in you and your business. 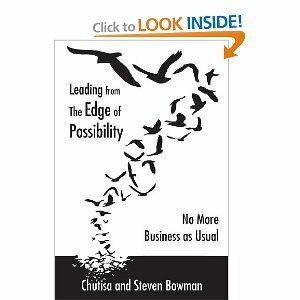 Chock Full of Tools - No More Business as Usual doesn’t just talk about creating change; it offers potent tools to start using now. Applies to YOUR Enterprise - The philosophies on offer can be applied instantly to all business to create dynamic results. Fresh Approach Far from imposing rules and conventions, you will benefit from an intuitive method that allows you to have the reality with business you desire. Join the No More Business As Usual revolution and be what sets the pace of change! 'Prosperity Consciousness' doesn’t just suggest possibilities for change; it offers potent tools to start using now. In today's world, prosperity consciousness is extremely essential for success and resilience regardless of whether you are rich or poor, smart or not smart. Transforms Limitation into Possibility - Instead of struggle financially, discover ways to broaden your financial awareness and address limitation at its source to create lasting change. Far from imposing rules and conventions, you will benefit from an inspirations that lets you choose the course of change. If you are ready to experience unbridled joy, exuberant expression, and the abundance of life, regardless of its challenges, all you have to do is choose to make consciousness the guiding principle in everything you do. The inspirations and transformations you will receive from following the practices in this book will facilitate a wave of change in your financial state and in your life.